A trip to the south coast NSW town of Moruya, where Mirrabooka ODE is situated, in the 90’s is when I first met Roger Whyte. At the time his daughters, Mary and Alice, were competing. Roger’s passion was fuelled by Mary and Alice’s success in the sport, Roger being the over achiever the Mirrabooka Junior Camp came to fruition. Roger believed to bring together kids from all over NSW and the best coaches would be an amazing experience for everyone. He loved the property and the south coast climate so the summer holidays seemed the best choice. Certainly, the first year may not have been everything Rog envisioned, a young Chris Chugg wondered off to the party at Moruya Ag. show so lessons on Friday were somewhat postponed. Roger hosted many coaches for the clinic, some even bunked in together for the 2 or 3 nights, no one seemed to mind these strange pairings, it was all about the kids and providing great coaching. Coaches such as Christopher Burton, Sammi Birch nee MacLeod, Lucy Bennett, Jade Findlay, Sharmayne Spencer, Sam Lyell, Craig Barrett and many others, each camp at least 10 coaches would attend as the number of participants often swelled over 110. It’s worth noting that Charlie Brister is now one of those up and coming coaches kicked off his career from attending as a rider many moons ago. Roger was an accomplished golfer, a hole in one at the famous St Andrews course in Scotland is comparable to a going clear and under time at Badminton 4 star. He was a very successful geologist, which basing his office from home before the communication revolution began was a feat in itself. Nothing seemed difficult for Roger Whyte. He loved sailing and competed in races, his competitive nature was lost on his crew members, mostly family, so his successes were probably thwarted because of this. Recently, his love of horses as well as K.A.s’, the Mirrabooka Racing Syndicate was formed, a few foals on the ground and many winners of course is testimony to Roger’s passion. 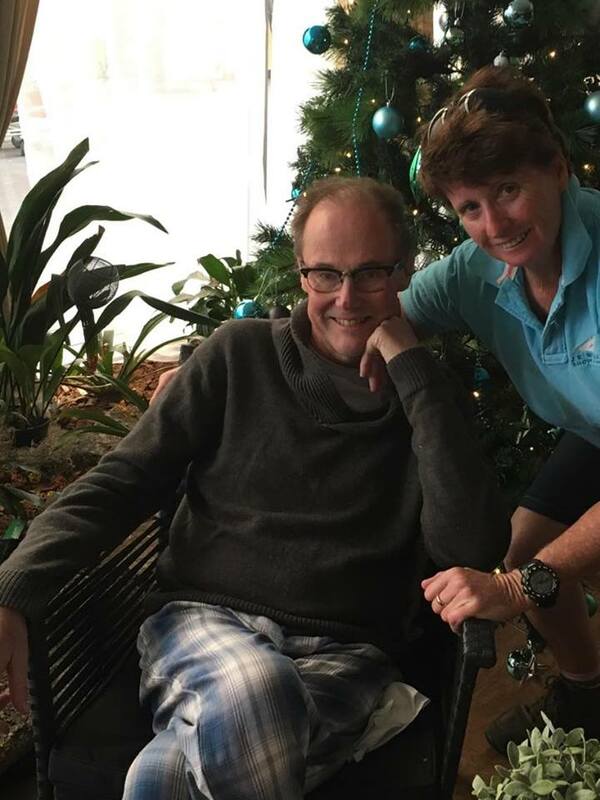 Dear Rog lost his fight with cancer, at home with many family members spending time at the farm for Christmas in 2016. Eventing NSW will be sad for the loss of Roger but I’m sure you will all join me in supporting K.A for upholding Roger’s legacy of the Mirrabooka Summer Camp at a time when K.A sees fit.